If you're going to the Outside Lands Festival this year and you're a procrastinator like me, you probably haven't done your homework yet. Festival Freak is here to help. 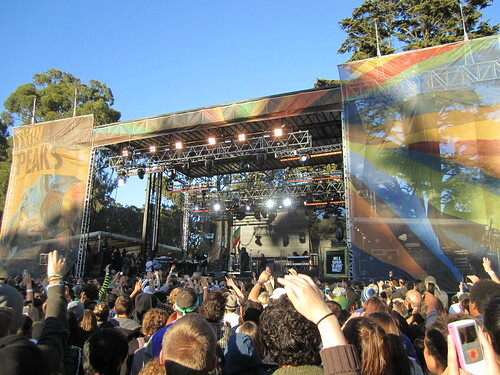 I've just loaded a 335-song playlist of artists playing Outside Lands on Friday, 8/12/11 to MOG.com. Toro Y Moi, The Joy Formidable, The Original Meters, The Limousines, Lotus, Big Audio Dynamite, New Orleans Klezmer Allstars and Release The Sunbird. If you're not already a MOG subscriber, sign up for a free three-day trial. You won't regret it. And stay tuned. I'll have playlists for Saturday and Sunday up soon, as well as videos by some of my favorite artists who'll be playing Outside Lands this year.